Also listed in: 2D & 3D Animation Works, Advertising Agencies, Animation Designing, Brand Promotion, Brochure Designing, Bulk SMS Campaigning, Consulting Services, Domain Registration, EMail Campaigning, Jobs Consultant, Logo Designing, Marketing & Promotion, Pamphlet Designing, Placement Services, Web Advertisement, Web Designing Services, Web Hosting Services, Search Engine Optimisation (SEO), Digital Marketing Agency. I am happy about this compnies services provided to me. I thank the entire team of WebAds for their efforts and valuable solutions provided to me for developing a customised software for my hotel. We were very happy to find the entire team very co-operative during the entire tenure. I wish them all the best. I am very happy with the design and features put on my website (www.phoenixupvc.com). It was really a nice experience working with the team for their prompt response and quick efforts on completing my job. I wish the team a Good Luck. We were very satisfied with the response generated by Bulk SMS promotions done for our project. Thanks to the the WebAds team for their prompt service and attempts. We are associated with more than 20 Business Consultants and Agencies from various locations to extend our services promptly throughout the nation. Entrepreneurs, Consultants & Agencies are most welcome to join our team and share an excellent package. 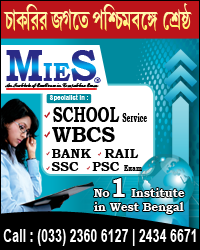 Interested people kindly contact Mr. Biswajit @ +91 9885852544 to discuss on details. Graduate Male/Females with smart communication skills and fair knowledge about Internet and Website, with minimum 2+ years of experience in Marketing, Sales, Insurance can join our Business Development Team.